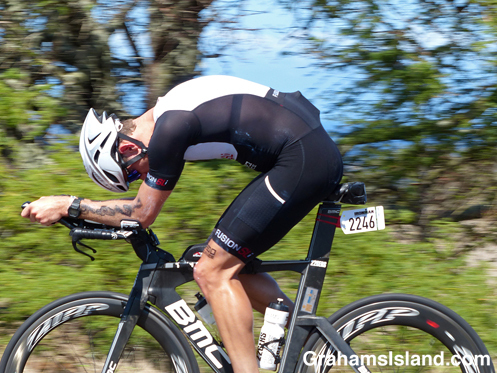 Here are more photos from last weekend’s Ironman World Championship race. 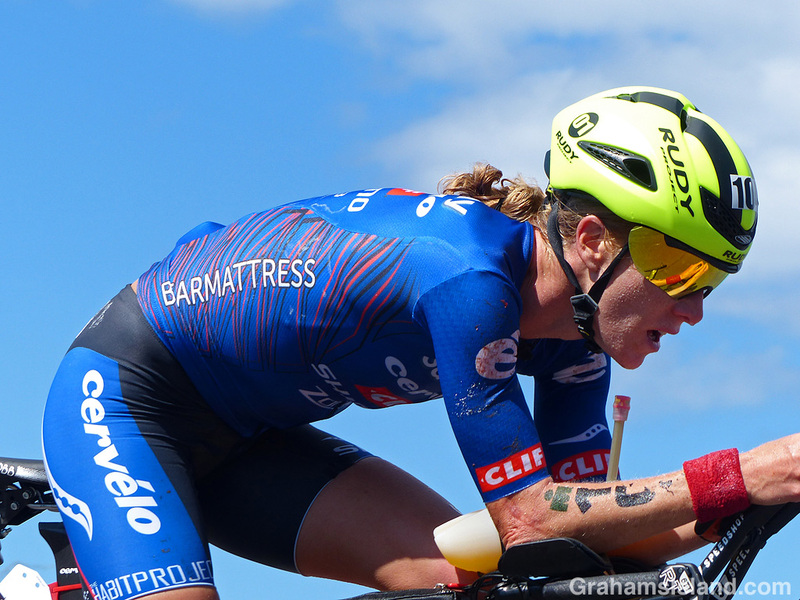 Top: Sarah Piampiano of the sweats up the hill toward Hawi. 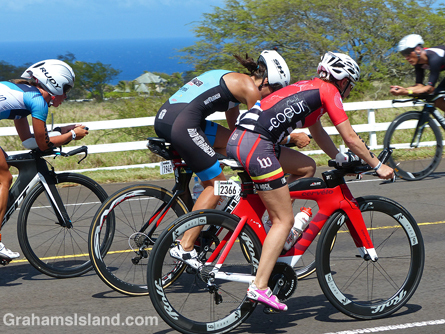 Above: Tessa Kortekaas, Karen Steurs, and Lisa Tyack duke it out on the way to the cycling turnaround in Hawi. Above right: Tools of the trade on the bike of Mike Blackburn. Below right: Christian Godtfredsen zips downhill. 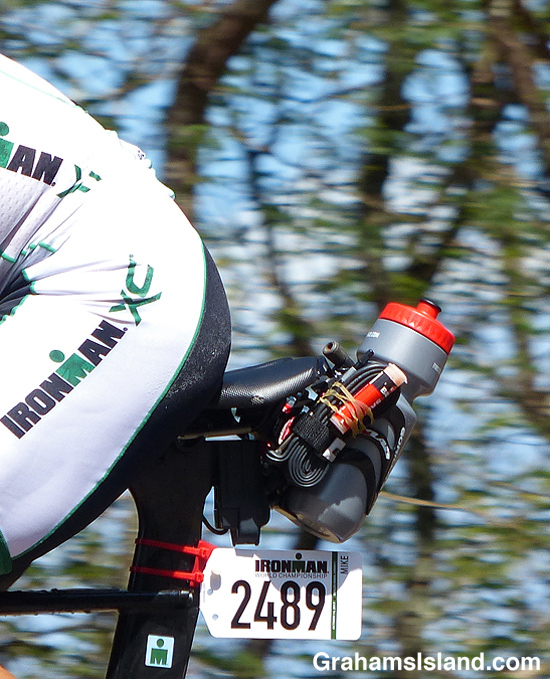 Many of the riders would go long distances with their heads down like this. If it were me I would undoubtedly veer off the road into a tree. 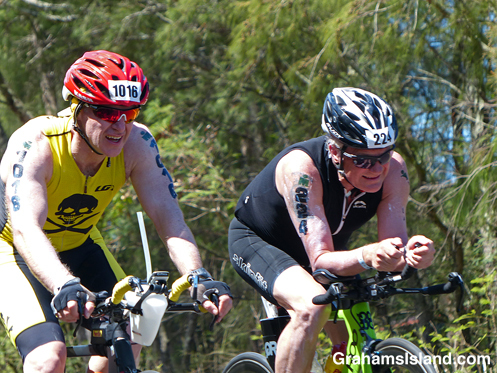 Below left: Robert Kenneth and Asbjoern Bakken push uphill and into a headwind. 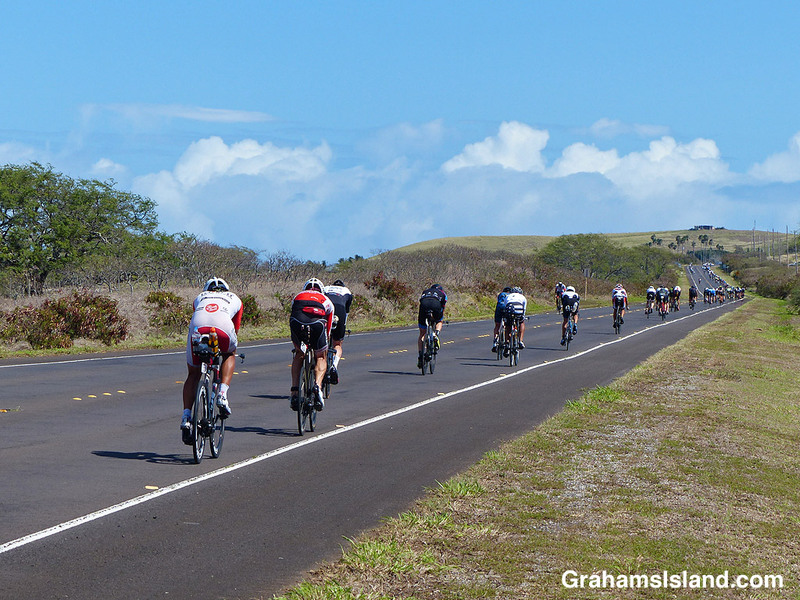 Bottom: A long line of cyclists straggle up the slope toward Hawi. Around this point the hill eases, but the headwinds picked up.